Discover more about the inspiring work of our resident member organisations, their impact and the difference they make to communities across the country. 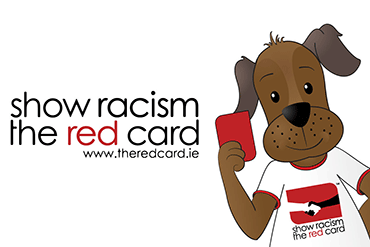 Our featured story is Show Racism the Red Card. We moved to the Carmichael Centre as the best option for a small charity. Carmichael provides low cost office space, shared office facilities including postage, printing, reception and finance support services. We benefited from good governance code training and as a consequence were one of the first of 300 out of 8,000 charities to be fully compliant. Carmichael is a good space to support small organisations who are limited by resources. It provides a space and resource to allow a small organisation have as big an impact as possible. There is a case for a similar model to be in other cities, we are lucky to have Carmichael in Dublin.